Who is noble in Gotha? On 13 February in Stockholm, Sweden, was held Royal Winter Ball managed by the World Childhood Foundation founded by HM Queen Silvia of Sweden. 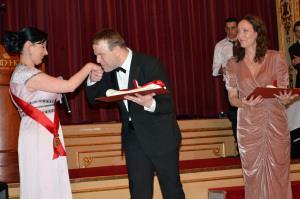 On the charity evening as a special guest was attending HRH Princess Anna of Georgia. In 1802, Europe was made up of several hundred states, which were dominated by England, Austria, Russia, Prussia and France, which was the most powerful country. In 1804, when Napoleon Bonaparte took over France, his military exploits had led to the complete control of virtually all of Europe. In 1812, when Napoleon moved against Russia; England, Spain and Portugal were already at war with France. They were later joined by Sweden, Austria; and in 1813, Prussia joined the coalition to end the siege of Europe, and to "assure its future peace by the re-establishment of a just equilibrium of the powers." In 1814, the coalition defeated France, and in March of that year, marched into Paris. France's borders were returned to their original 1792 location, which had been established by the First Peace of Paris, and Napoleon was exiled to Elba, a small island off the Tucson coast of Italy. From September, 1814 to June, 1815, the four powers of the allied coalition, winners of the Napoleonic Wars, met at the Congress of Vienna, along with a large number of rulers and officials representing smaller states. It was the biggest political meeting in European history. Representing England was Lord Robert Stewart, the 2nd Viscount Castlereagh; France, with Foreign Minister Charles-Maurice Talleyrand de Perigord; Prussia, with King Friedrich Wilhelm III; and Austria, with Emperor Franz II. “An unusual feature of the "Congress of Vienna" was that it was not properly a Congress: it never met in plenary session, and most of the discussions occurred in informal, face-to-face, sessions among the Great Powers with limited participation by delegates from the lesser states. On the other hand, the Congress was the first occasion in history where on a continental scale people came together in place to hammer out a treaty, instead of relying mostly on messengers and messages between the several capitals. The Congress of Vienna settlement, despite later changes, formed the framework for European international politics until 1914. Throughout the 19th century, there was growing interest in establishing new national identities, which had a drastic impact on the map of Europe. These transformations also highlighted the failure of a certain ’European order’ which led to the outbreak of the First World War. “….Besides, the decisions of the Congress were made by the Five Great Powers (Austria, France, Prussia, Russia and the United Kingdom), and not all the countries of Europe could extend their rights at the Congress. For example, Italy became a mere "geographical expression" as divided into eight parts (Parma, Modena, Tuscany, Lombardy, Venetia, Piedmont-Sardinia, the Papal States, Naples-Sicily) under the control of different powers, while Poland was under the influence of Russia after the Congress. The arrangements that made the Five Great Powers finally led to future disputes. The Congress of Vienna preserved the balance of power in Europe, but it could not check the spread of revolutionary movements on the continent. (1815) Alliance between Britain, Russia, Austria, and Prussia first formed in 1813 to oppose France in the final phase of the Napoleonic Wars. It was officially renewed in 1815 to enforce the peace settlement concluded at the Congress of Vienna. The allies agreed to meet occasionally to keep European political development within terms of the 1815 settlement. This program was partially carried out by the Congresses of Aix-la-Chapelle (1818), Troppau (1820), Laibach (1821), and Verona (1822). 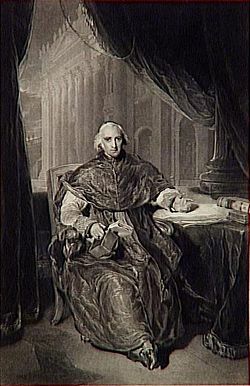 Other representatives were: Frederick VI, King of Denmark; Maximilian Joseph, King of Bavaria; Friedrich I, King of Württemberg; Napoleon II, King of Rome; Eugene de Beauharnais, Viceroy of Italy; King Friedrich August I of Saxony; Count Leowenhielm of Sweden; Cardinal Consalvi of the Papal States; Grand Duke Charles of Baden; Elector William of Hesse; Grand Duke George of Hesse-Darmstadt; Karl August, Duke of Weimar; the King of Bohemia; the King of Hungary; and emissaries from Spain, Portugal, Denmark, Holland, and other European States. (Left picture: Ercole Consalvi (June 8, 1757 – January 24, 1824) was a cardinal of the Roman Catholic Church). 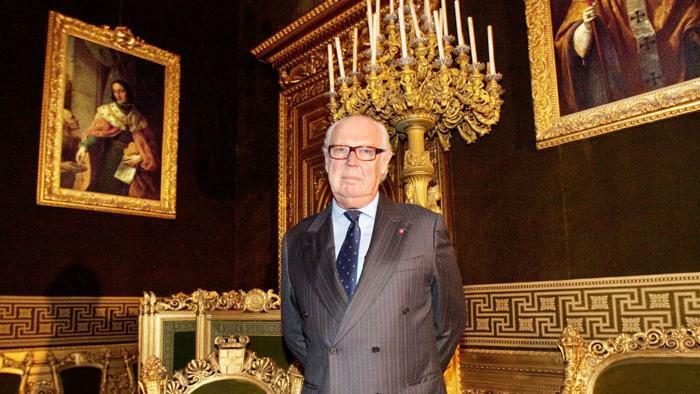 The main concern of the Congress was to redistribute conquered territories, create a balance of power, restore the pre-Napoleonic order through King Louis XVIII, return the power to families who were ruling in 1789, and to return the Roman Catholic Church to its former power. 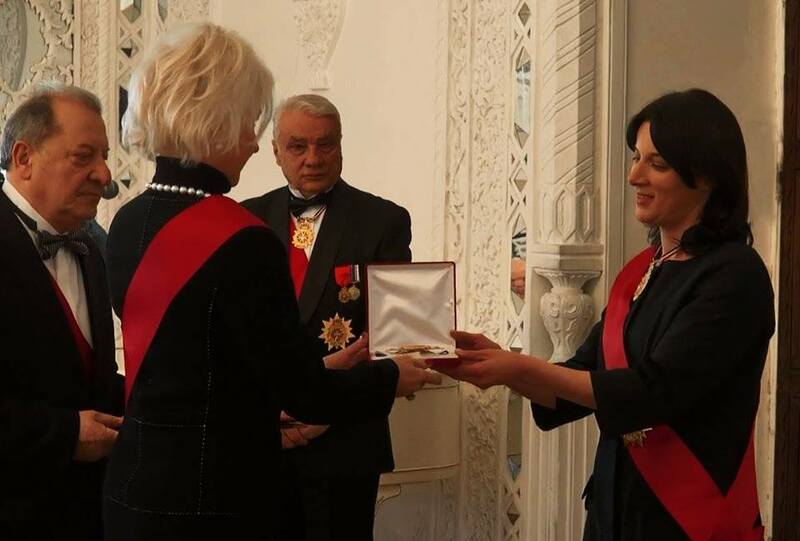 Discussion revolved around the creation of a Federation of Europe that would establish a group of independent kingdoms which would be tied together through an administrative governing body that would, among other things, provide military defense. In their plan, Switzerland was made a neutral state that served as a repository for their finances. Engraved portrait of Eugene de Beauharnais. Engraved with watercolors by Alix - c. 1805. 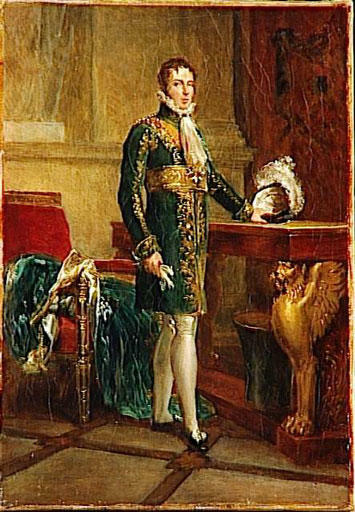 Prince Eugene was Joséphine’s only son, whom Napoléon made Viceroy of Italy. 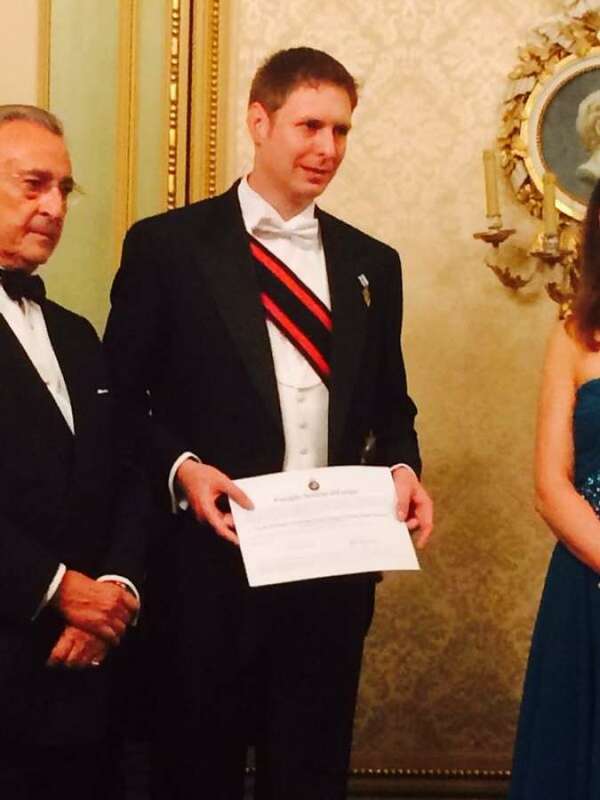 He is seen here in his official uniform. From the first time Napoléon met him, he was impressed by the young man’s modesty, sincerity and good looks). In March, 1815, Napoleon left Elba, because the pension promised him by King Louis XVIII was discontinued, and he believed that Austria was preventing his companion, Marie Louise, and his son, the former King of Rome (who became the Duke of Reichstadt in Vienna) from being able to join him. Plus, he was made aware of the growing discontent with the King. 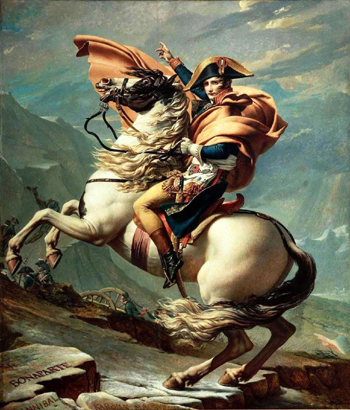 Thus Napoleon returned, began the Hundred Days War, and was immediately labeled a "public enemy." The coalition at the Congress put aside their diplomatic business, and joined in the battle. 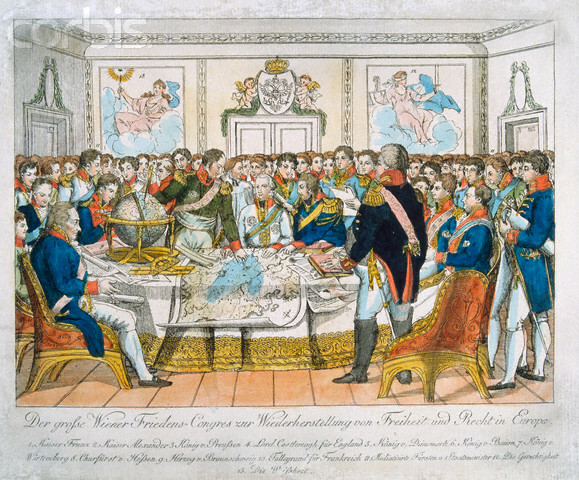 Shortly before Napoleon's defeat at Waterloo, negotiations at the Congress of Vienna were completed, and the treaty was signed on June 9, 1815. The Second Peace of Paris, in November, exiled Napoleon to St. Helena, an island 1,000 miles off the African coast, where he died in 1821. 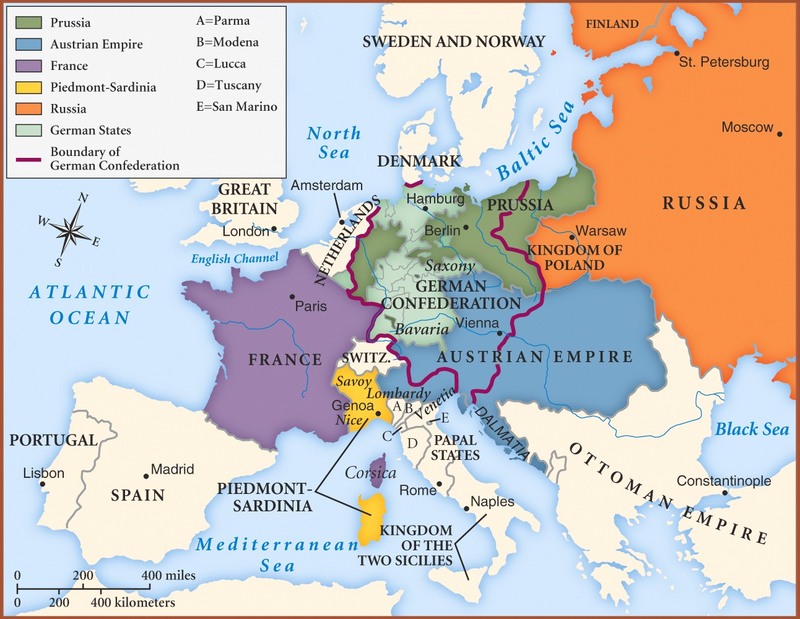 On September 26, 1815, the Treaty of Holy Alliance was signed by Alexander I of Russia, Francis II of Austria, and Frederick William III of Prussia, while the allies were negotiating the Second Peace of Paris. 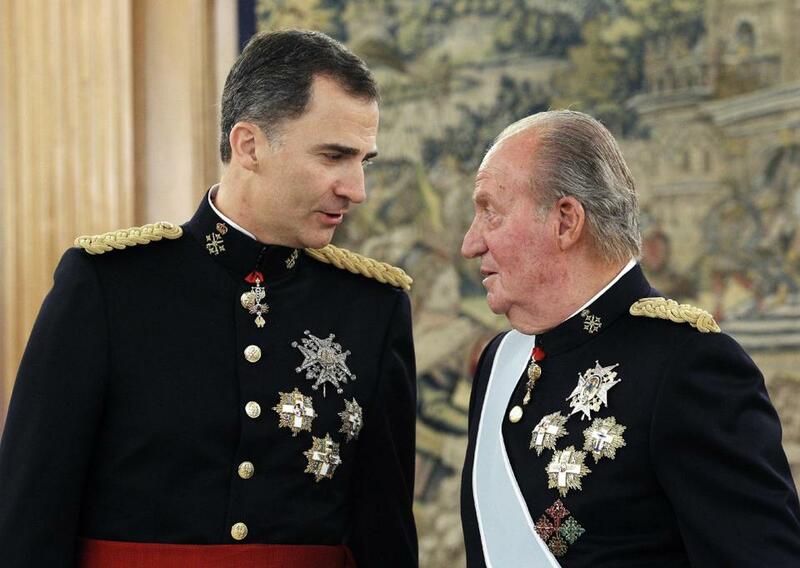 The Treaty guaranteed the sovereignty of any monarch who would adhere to Christian principles in the affairs of State. The Treaty made them a "true and indissoluble brotherhood." 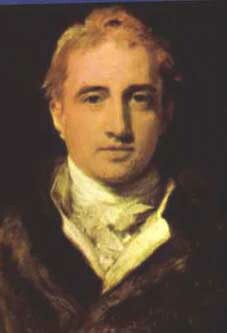 Alexander claimed he got the idea from a conversation with Castlereagh. Castlereagh later said that the Alliance was a "piece of sublime mysticism and nonsense." Prussia and Austria claimed they went along with it, out of fear of Russian retaliation. Although the Alliance had no influence on matters, it did indicate to other countries that they had banded together against them and it succeeded in temporarily crushing Europe's growing liberal movement. (Picture above: Alexander I of Russia (Russian: Александр I Павлович, Aleksandr I Pavlovich) (23 December 1777 – 19 November 1825), also known as Alexander the Blessed (Russian: Александр Благословленный, Aleksandr Blagoslovlennyi) served as Emperor of Russia from 23 March 1801 to 1 December 1825 and Ruler of Poland from 1815 to 1825, as well as the first Russian Grand Duke of Finland). Austrian Minister of Foreign Affairs, Prince Klemens Furst von Metternich, the most influential statesman in Europe, and a Rothschild agent, said that the purpose of his idea for a European Federation was only to preserve the social order, and he was convinced that Alexander was insane. In 1916, the Senate Congressional Record (pg. 6781) reproduced a document known as the "Secret Treaty of Verona" which had been signed in November 22, 1822 by Austria (Metternich), France (Chateaubriand), Prussia (Bernstet), and Russia (Nesselrode); and was partially the reason for the establishment of the Monroe Doctrine. Its purpose was to make some changes to the treaty of the Holy Alliance, and Article One stated: "The high contracting powers, being convinced that the system of representative government is equally as incompatible with the monarchical principles as the maxim of the sovereignty of the people with the divine right, engage mutually, in the most solemn manner, to use all their efforts to put an end to the system of representative governments, in whatever country it may exist in Europe, and to prevent its being introduced where it is not yet known." It was designed and proposed a form of collective and collaborative security for Europe, then called a Congress system. According to the Congress system the main signatory powers were to meet periodically (every two years or so) and collectively manage European Affairs. The following ten years saw 5 European Congresses where disputes were resolved with a diminishing degree of effectiveness. Finally, by 1822, the whole system had collapsed because of the irreconcilable differences of opinion between the United Kingdom, Austria and Russia, and because of the lack of support for the Congress system in British public opinion.